The Half Hollow Hills Central School District Planetarium houses a state-of-the-art, Evans and Sutherland digital projection system. The Evans and Sutherland system allows visitors to "travel" to any part of the observable universe during any time. 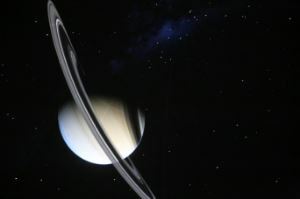 Students can virtually visit the stars of their favorite constellation, they can more clearly observe the causes of the Moon phases, and they can investigate the rings of Saturn. 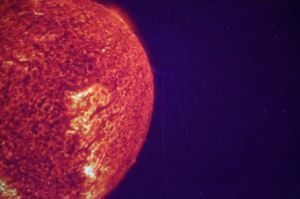 All these virtual trips can be observed on the Planetarium's 24-foot dome. The facility services the school district's students, K-12. Associated with the Planetarium is a district hands-on Discovery Center. The Discovery Center is also designed to supplement elementary science education.